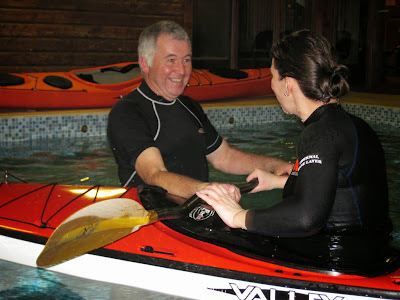 Sea kayak with Gordon Brown Vol 3 review. 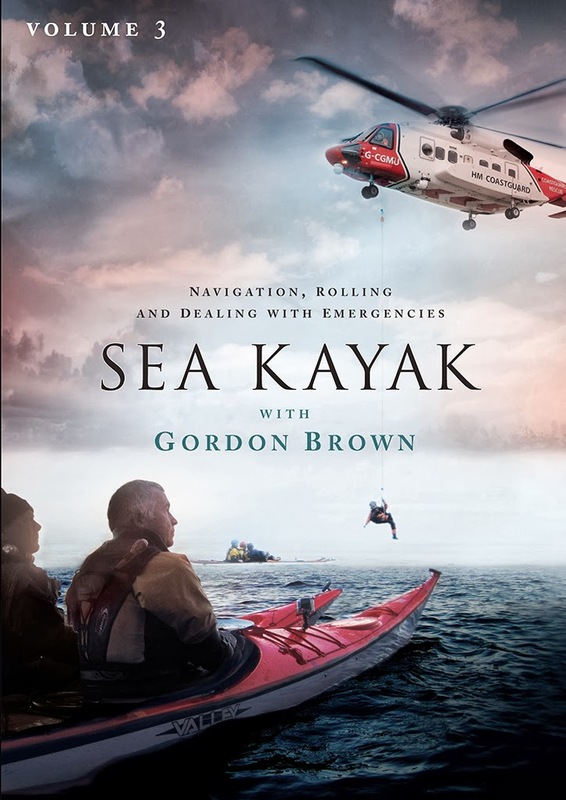 I was delighted when a preview copy of this long awaited addition to the award winning Sea Kayak with Gordon Brown series dropped through the letterbox. This volume deals with: Handling emergency situations, Sea kayak navigation, First aid kits and Rolling clinic. In a break from the format of the first two volumes, this DVD does not include a journey component. In those volumes the journey illustrated techniques from the instructional part of the video being put into practice. The key chapter in Volume 3 is "handling emergency situations" and it would not be ethical to set up a real rescue involving the emergency services on such a journey. 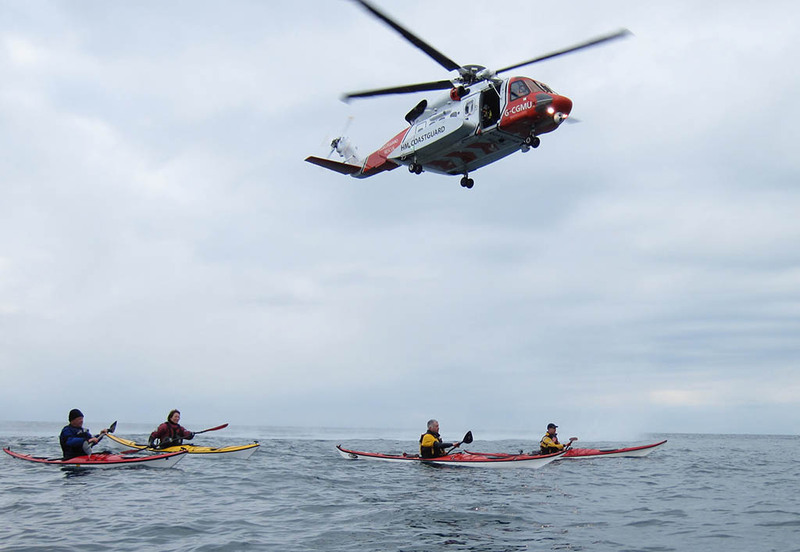 Instead, Gordon Brown has involved the rescue services in exercises involving two sea kayaking emergency scenarios set in the remote Hebridean Islands of Scotland. Film maker and sea kayaker Simon Willis has expertly directed and filmed these scenarios from just about every angle and perspective possible and the results are eye opening. Handling emergency situations running time 46 minutes. What is truly unique about this film is that each of the key rescue personnel. 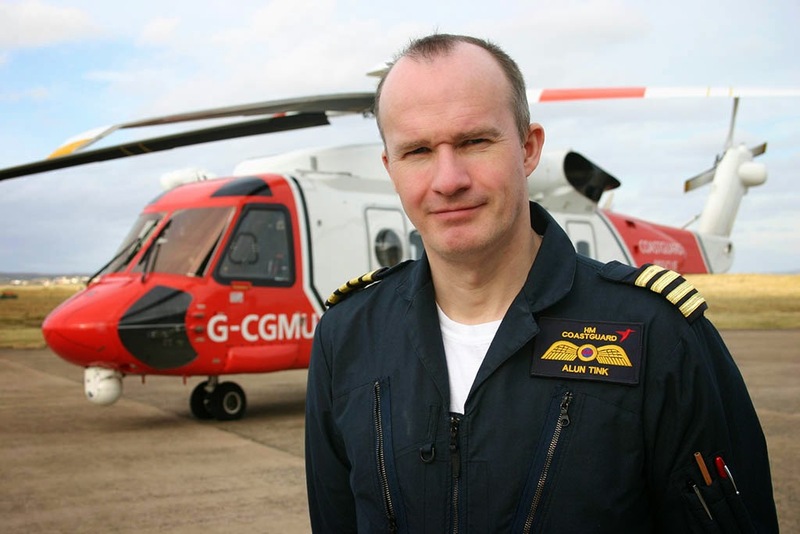 that describe the rescue scenarios from their own point of view (Coastguard helicopter pilot, Coastguard radio officer and RNLI lifeboat coxswain), is a sea kayaker! Alun, Coastguard helicopter pilot and sea kayaker. 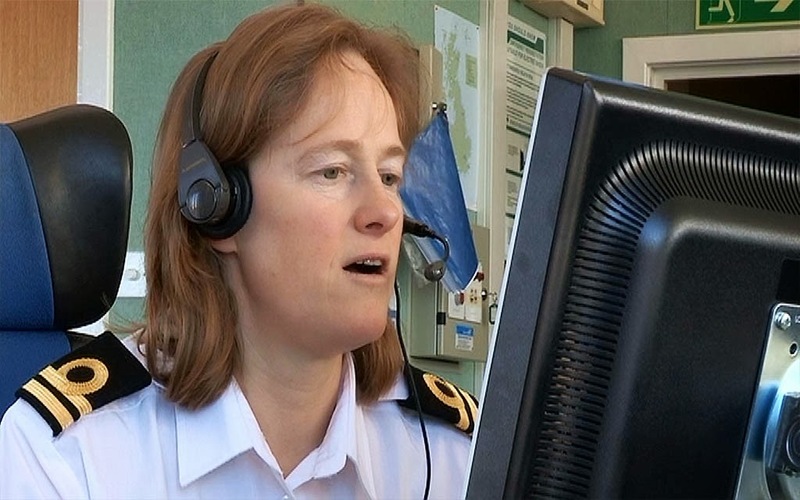 Anne, Coastguard radio operator and sea kayaker. 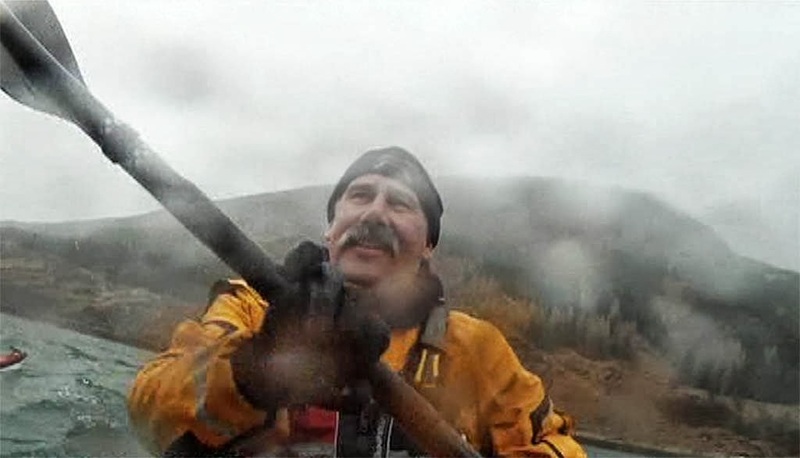 Murty, RNLI lifeboat coxswain and sea kayaker. ... after seeing Gordon nearly lose both hands after firing one. 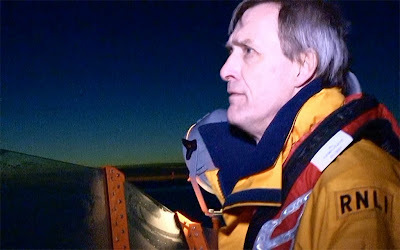 The emergencies were not set up with someone conveniently falling out of a kayak beside a lifeboat. 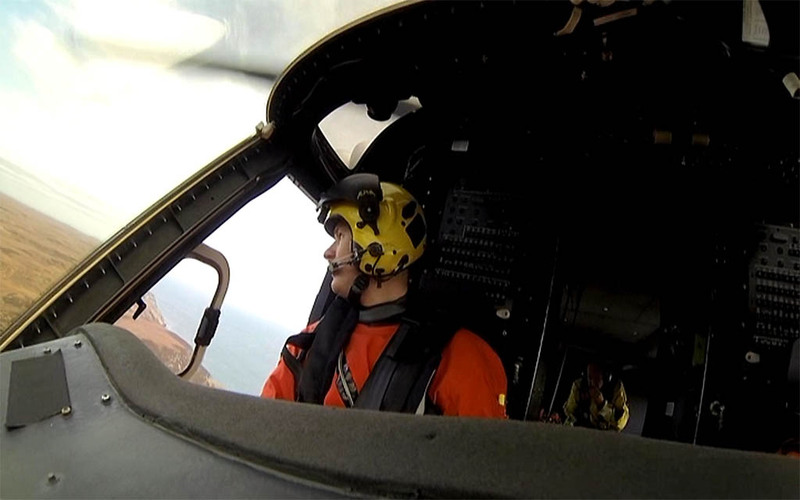 The full time frame of real rescues were involved as the situations took place in remote areas and one was near nightfall. ...and the film compares different devices for attracting attention at this close range. 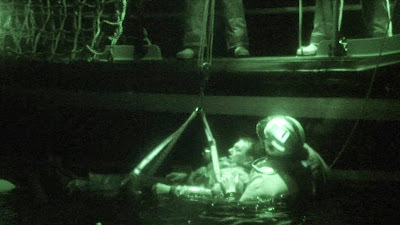 The kayakers were all wearing dry suits with thermal insulation underneath but all became bitterly cold when they stopped paddling and were waiting for rescue in rafts. 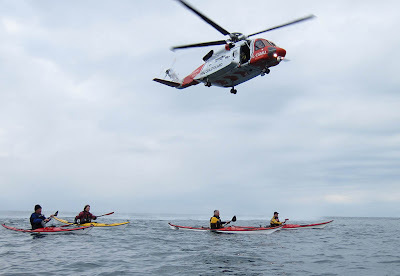 As a retired doctor, I was delighted to see how rescuers kept a kayaker, rescued from immersion in the sea, in a horizontal position to avoid post rescue collapse. 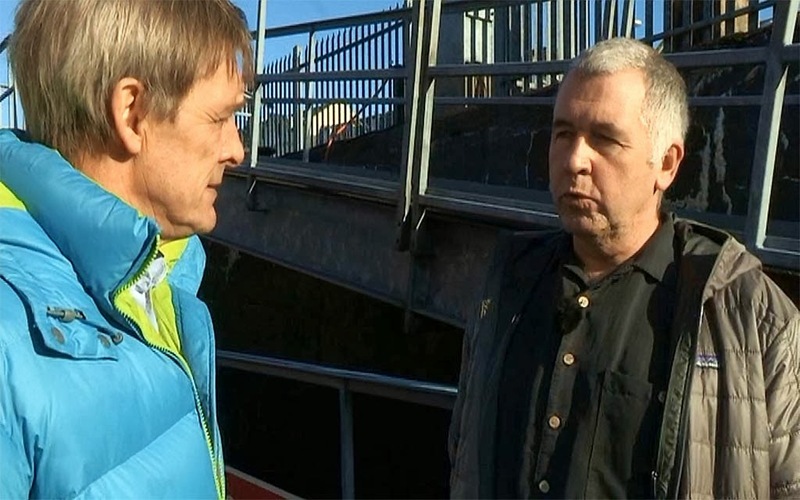 The post rescue debriefing involving Murty Campbell, the lifeboat coxswain and Gordon Brown was very interesting. Murty is also an experienced kayaker and volunteer coach who pioneered open crossings to remote, rocky outcrops which lie off the Outer Hebrides, far into the Atlantic. Murty thought that many kayakers got in trouble because they are in a rush to get into challenging conditions rather than gradually building up their experience of the weather and sea, preferably in a supportive club environment. 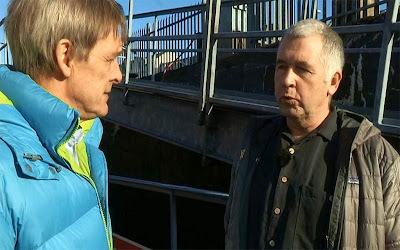 Not everyone has access to a club like his excellent local Stornoway Canoe Club but, even for those who paddle in small independent groups, it is a point well made. Murty and Gordon both learned from these realistic rescue exercises. 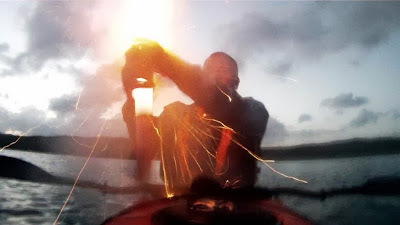 Murty was going to add SOLAS reflective tape to his kayak and paddles and Gordon was not going to fire a rocket flare unless carefully rafted up. He was also going to make sure he had even more accessible extra clothing as his hands got so cold he could hardly fire a pinpoint flare. 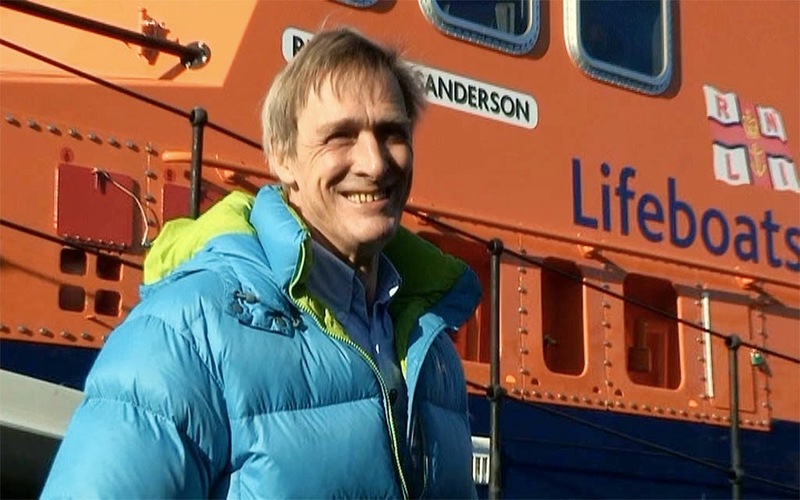 At the end, Gordon joked with Murty "It wouldn't be very good if you were rescued by your own lifeboat!" He then concluded by telling viewers "I hope the worst doesn't happen but if it does, you will be better prepared to help yourself." If the DVD just consisted of this film I would say that it would be a best buy but there is more and it is also excellent! 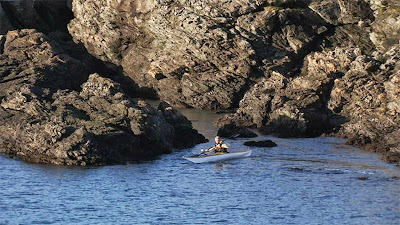 Sea kayak navigation running time 48 minutes. ...Gordon follows up by teaching students how to allow for tides (and winds) on short crossings, both by empiric calculation then by using transits. 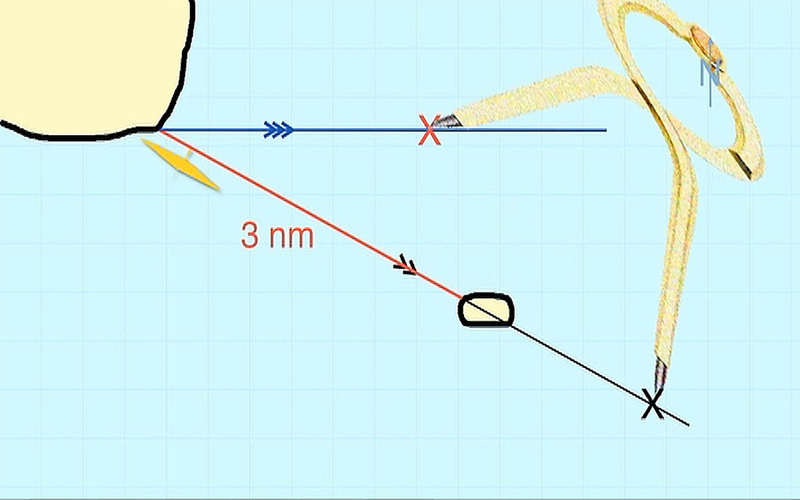 Then Franco explains how to use a chart and vectors to shape a course allowing for a tide, which is across your direction of travel and there is no transit. The film stops short of shaping courses on longer crossings where the tide will change during the crossing. Franco illustrates how useful smart phone marine apps can be for calculating tidal times and flows but warns of the need for paper back up due to battery failure. I was surprised that more mention was not made of GPS. This is now mature technology and its use is an important addition to our navigational skills. 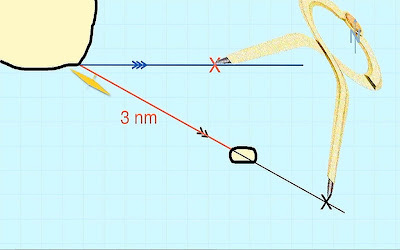 Maintaining a GPS bearing to an intended waypoint is one of the best ways of allowing for variable tidal streams and just about the only way of allowing for crosswinds, if no transit is available. However, Franco does refer the viewer to the book for more advanced navigational techniques. ...as he manoeuvres tightly round the rocks in the beautiful north Wales coastline in his Quest LV, which most see as a directional touring kayak. First Aid kits, running time 20 minutes. The First Aid kits film is co-presented by Rowland Woollven who is both an experienced coach and a respected member of the Wilderness Emergency Medical Services Institute. 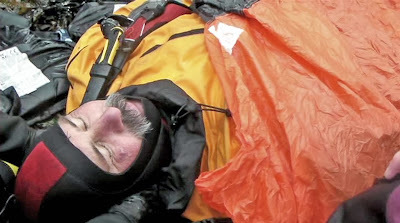 He has also experience of handling a real life threatening medical emergency on expedition. 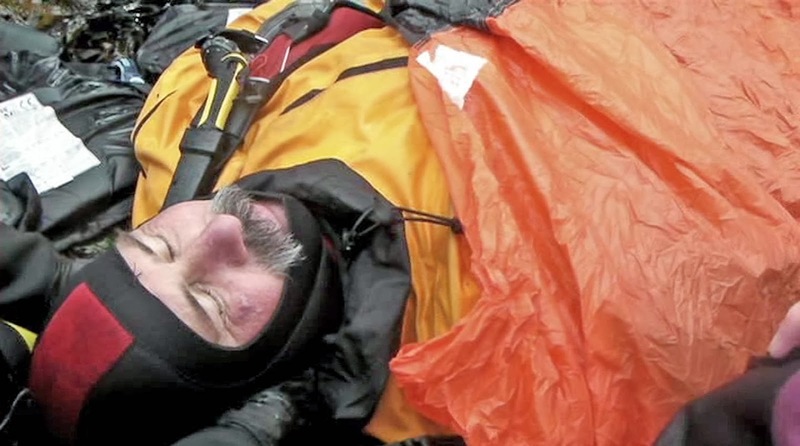 In the film, Roland demonstrates the contents of various first aid kits suitable for on the water day use to full wilderness expedition use. I was delighted to see mention of dry iodine antiseptic spray, electrical and duct tapes, three of my personal favourites. He illustrates a number of procedures but both he and Gordon emphasise the film is not a first aid course. However, it is a great advert for going on one, preferably a course delivered in a sea kayaking environment. The film opens with the end of one of Gordon's sea kayaking courses when Roland springs a surprise on the tired students. He feigns unconsciousness and falls out of his kayak. It is the students' task to get him to safety and keep his vital signs stable and his body warm until professional help arrives. The film is a graphic example of what can happen when a medical emergency occurs in an untutored and unsuspecting group. The group went into "headless chicken" mode, with no one taking command and lots of conflicting ideas being put forward. 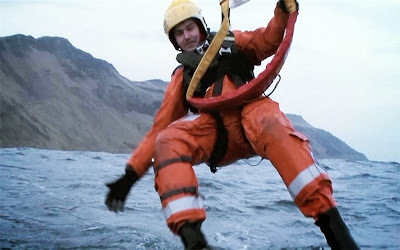 Once they got Rowland ashore, one person supported his neck as if he had a spinal injury (though there did not seem to be any history of trauma). Despite his "unconscious" state, no one put him in the recovery position in case he vomited and choked. Eventually, with prompting from Gordon, order prevailed and Rowland was safe and warm inside a group shelter awaiting the arrival of the emergency services. I am sure that all the participants in this scenario will have signed up to a first aid course and I am sure that it will trigger the same reaction in many viewers of the film. 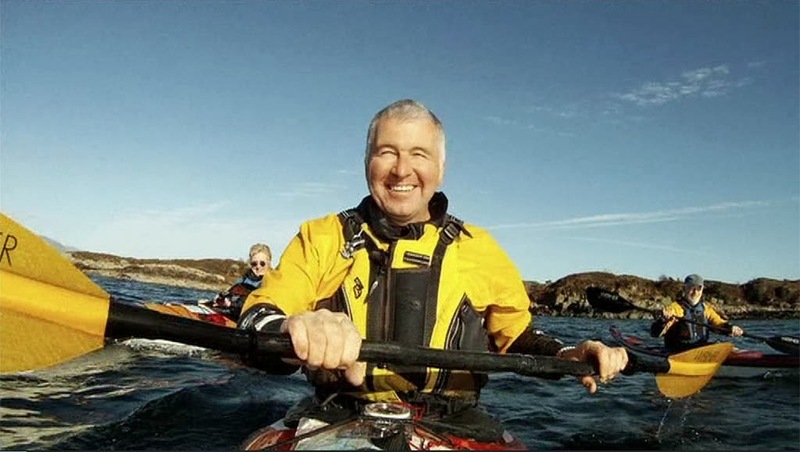 As sea kayakers, an unexpected medical problem in a remote place can be very frightening and even life threatening but I can almost guarantee that a possible medical emergency will be very low down the list of "what ifs" in most people's trip planning. As a retired doctor, I applaud this film and those who participated in it for showing the chaos of a sudden medical emergency in an unsuspecting group. It is much more effective in demonstrating the need for first aid training than showing a sanitised, well rehearsed, idealised incident. Rolling clinic, running time 36 minutes. This film is different from most rolling films, which demonstrate a variety of perfect rolls. Gordon sets the scene by saying "For me rolling is about being upright and breathing air. 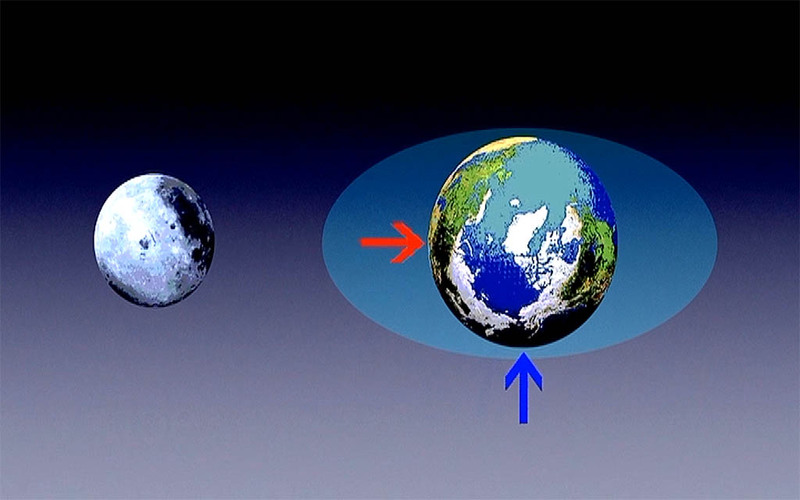 How we get there isn't that important." This film is not about developing extensive Greenland rolling skills but is directed at giving the touring sea kayaker a reliable first roll to encourage them to tackle more challenging conditions. The film bravely starts with 6 people who cannot roll and who have had either no previous rolling practice or, at most, one session. At the end of the session two out of the six can roll. The film demonstrates both forward and rear finishing rolls then analyses common mistakes, which students make in each. This is followed by very clear demonstrations of how to correct these mistakes. 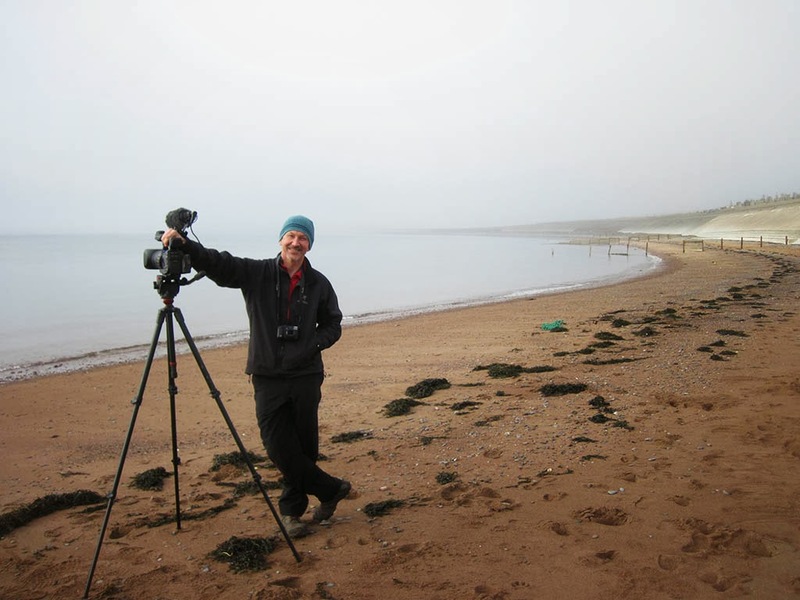 The film is designed to be an adjunct to your own practice sessions. You are advised to do these with helpers who observe and assist directly and also film, so that they and you can spot any mistakes hindering your progress. Aided by the DVD's clear menu system, you can then easily refer back to the appropriate section of the film's "fixes" chapter. The session starts with land exercises designed to get students used to the feel of getting their lower bodies to twist the kayak upright rather than to use the paddle as a lever. In the water the demonstrations are very clearly filmed from a variety of different angles. The coaches observe the students initial attempts and advise them to develop either forward or rear finishing rolls to suit. I was pleased to see that in the initial stages, students were encouraged to come up on the same side as they went over on. I am sure that the full forward tuck and roll in (on the opposite side to which you come up) disorientates many learners. 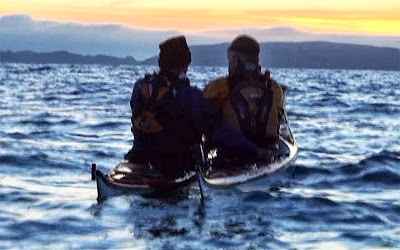 One of the things that might have been mentioned in the back finishing roll, is to sweep the paddle forward in a low brace position to give stability while raising the body off the back deck at the finish (as in the standard Greenland roll). One of the coaches, Callum, actually demonstrates this several times in the film but it is not specifically mentioned. Special mention has to go to the very clear menu system, which divides the rolling film into many parts. This makes it is very easy find and jump backwards and forwards to review and replay sections without having to pause, rewind and forward. 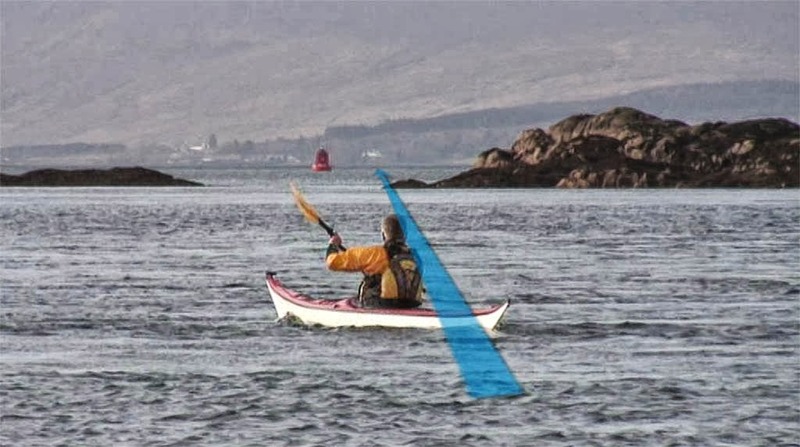 This is the best implementation of navigation through a kayak rolling DVD I have seen. I am a friend of both Gordon and Simon and took part in the journey section of Sea kayak with Gordon Brown volume 2. I have therefore tried very hard to be critical and dispassionate but you will need to bear this in mind. This third volume is a superb addition to the previous two volumes of Sea kayak with Gordon Brown and like them, it deserves to win more awards. I think the Handling emergency situations film is unique. I am not surprised that this film has come out of the UK. 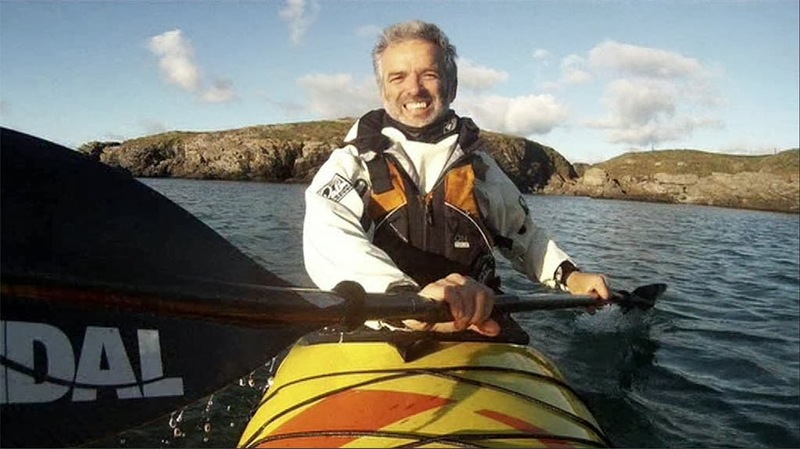 Recreational sea kayaking started round the fabulous coastline of the UK in the middle of the 19th century and so perhaps it is unsurprising that the UK now has so many coaches of Gordon Brown's calibre. 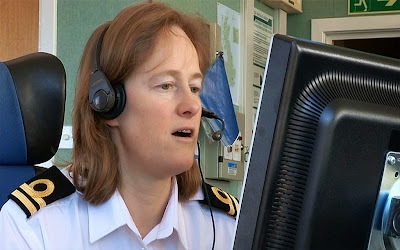 However, there can be few places on Earth where a coach has such close working relationships with rescue helicopter pilot, coastguard radio officer and lifeboat coxswain, not to mention film maker. The fact that they are all sea kayakers is extraordinary and adds a unique synergy and chemistry to this outstanding and thought provoking film. 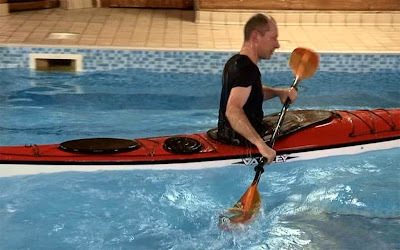 The other three films on the DVD are each outstanding and original in their own right and the combination of all four make this DVD a must have for sea kayakers of all abilities. Lastly the frequent smiles and the Hebridean scenery make sure that this is not a dry technique DVD. 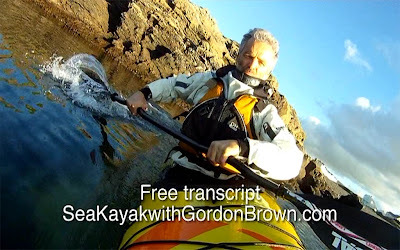 This is sea kayaking fun (with Gordon Brown)!